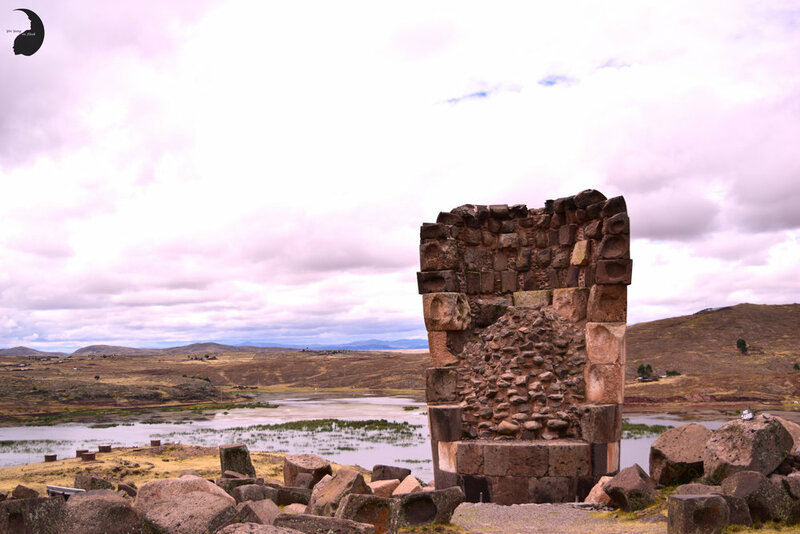 Our visit to the burial grounds of Sillustani was not just any day trip. It was a unique experience with All Ways Travels and is definitely going down in our 'favorite' books! As we bid a bitter sweet goodbye to Peru with this post, we couldn't have chosen a better travel tale to share! 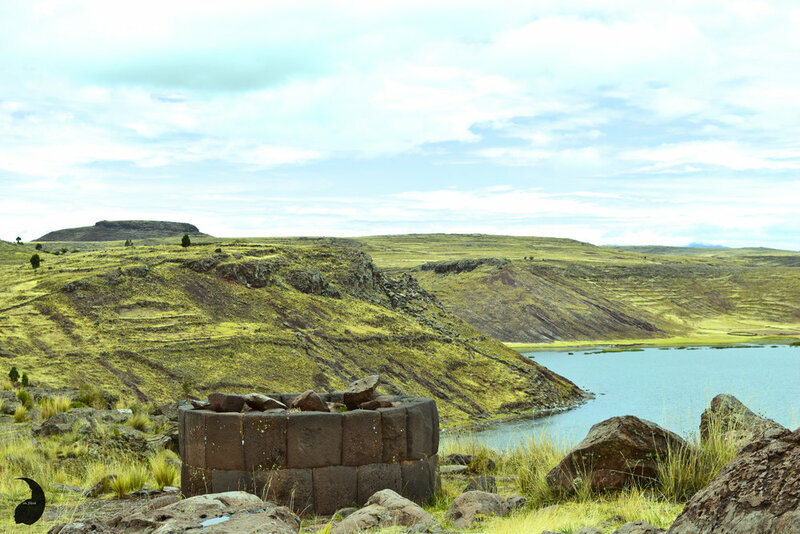 Allow us to take you on a journey through Sillustani, an archaeological site with stunning pre-Inca tomb structures. There's something about cemeteries that has always attracted Yang and I. They are eerily beautiful sites and so full of character. As you tread on these lands, you can't help but wonder about the lives of the people that have passed, that lay still in the surrounding lands. And suddenly, you are slapped with the harsh truth of life- the truth that you are but a mortal being and have to embrace the reality of life and death alongside. And as you ponder more, you realize that you must make the best of what you have 'NOW'. You fortify your vows to live life to the fullest and make every moment count! And so...cemeteries are eerily beautiful. They make you appreciate your life, reminding you to cherish every moment! We loved our day trip with All Ways Travels. We were drawn towards this tour operator considering their great reviews and reputation for promoting sustainable tourism by supporting local communities. Our booking agent Ana Ruelas was so lovely and helped us narrow down the best options that met our needs. She was quick to respond to emails and patiently discussed our options with us. We were leaning towards a private cultural day trip in Puno, one that was not particularly touristy, something that could be done at a relaxed pace and was enriching at the same time. We were so glad that Ana pointed us in the direction of the Sillustani day trip. When you have an amazing guide with you as a part of a private tour and the additional luck of having the whole place to yourself, you really can't complain! Our guide Elvis Quispe was friendly, patient, and knowledgeable. Yang and I enjoyed listening to the fascinating tales about the history of Sillustani and the lifestyle of the people in the community. We paid a steal price of $30 USD per head. 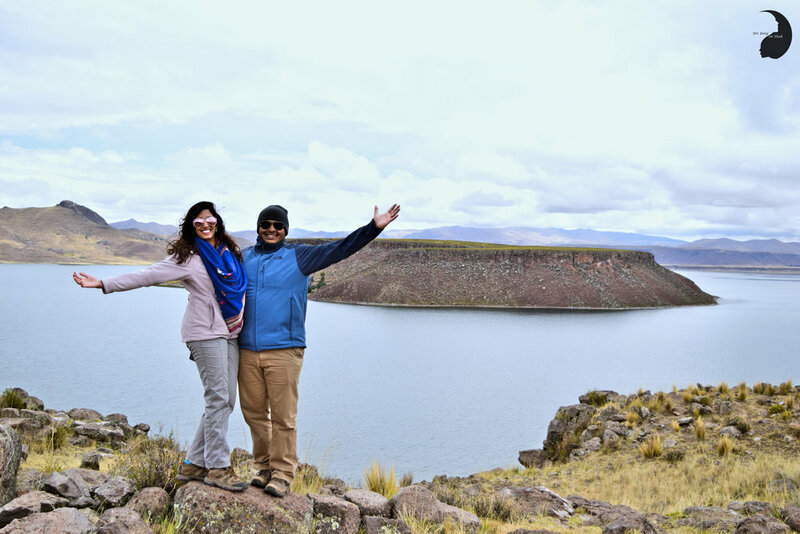 This included our travel back and forth from our hotel, our experience at Sillustani, and a delicious meal with a local family in the village of Atuncolla. We paid an additional 30 soles to the fisherman who gave us a boat ride across lake Umayo. - Our tour lasted about six hours including our travel time. - Sillustani is located 34 Km away from Puno. We took about 30-40 minutes to make our way to lake Umayo from our hotel. Umayo lagoon. We enjoyed the crisp and cold October breeze that refreshed our souls, as we made our way leisurely to the burial towers. - We enjoyed spotting animals on Umayo island en route to the Sillustani tombs. - When we reached the picturesque peninsula that housed the Sillustani burial towers, we were dumbstruck. The towering tombs were located on an aloof landmass, surrounded by the surreal Umayo lagoon and the Andes mountain ranges. The views were unmatched and breathtaking! - We listened to interesting tales about the history of the Sillustani tombs built by the pre-Incan Qolla civilization. 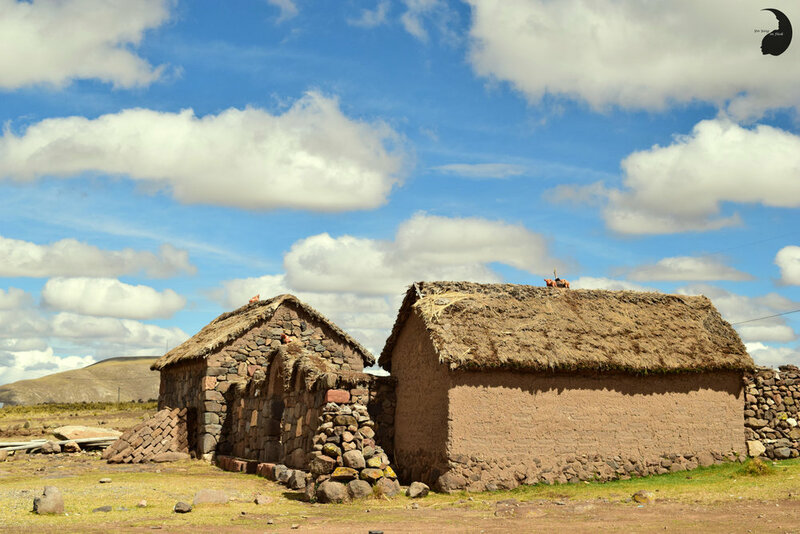 - After visiting Sillustani, we made our way to the local village of Atuncolla. The vibe of the traditional village was amazing. The lunch at Atuncolla was prepared by a local family and this was by far our favorite meal in Peru. The food was so flavorful, fresh, and wholesome! Our three course meal included a soup, some local cheese and sweet potatoes, and a chicken/fish entrée. - Since we booked our tour on a Sunday, we were unable to visit a local school in the area, which is a part of the usual Sillustani tour. However, we enjoyed our itinerary all the same and got to spend a longer time at the local village. 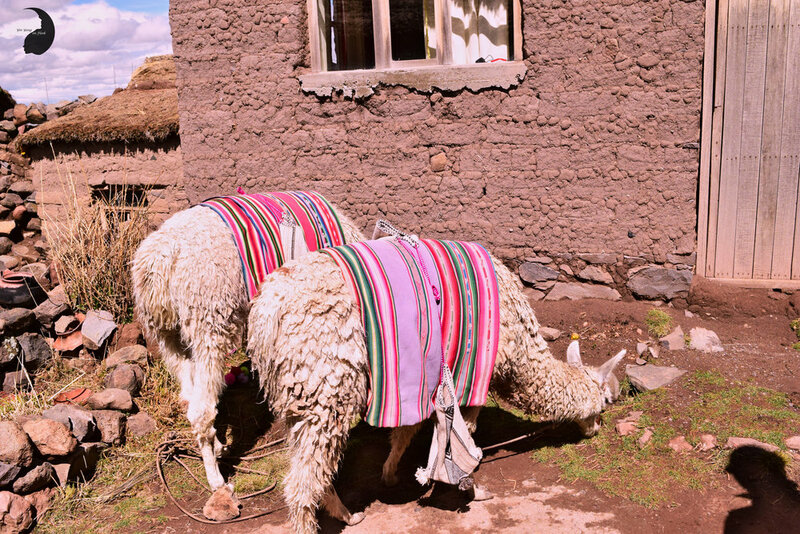 We got to meet (our oh so favorite) llamas and who turns down quality 'LLAMA TIME'- Not us for sure :) Look at the colorful knits used to adorn these fuzzies! 1. The cemetery at Sillustani was built in the XIII century by the Kolla people, who belonged to a civilization that pre-dated the Incas. 2. The tall burial towers at Sillustani, also known as 'chullpas', were built to be broad at the base and narrow towards the top. These towers housed the bodies of nobles including chiefs and priests. The bodies of the deceased were covered in cloth and mummified. They were placed in a fetal position to allow them to be reborn. Priced possessions that belonged to the nobles were also buried in these towers, making this a rich archaeological site prone to theft by robbers. 3. The cemetery was considered to be a sacred place and the site was tastefully selected. The chullpa towers were built on a beautiful peninsula on the highlands, surrounded by the serene Umayo lagoon and the mighty Andes ranges. And with this my friends, we come to the close of a beautiful chapter. We hope we inspired your travelling toes to visit the beautiful country of Peru. If you are looking for a vibrant country with warm people, great cuisine, lots of nature, and many adventures, Peru is the place to be! 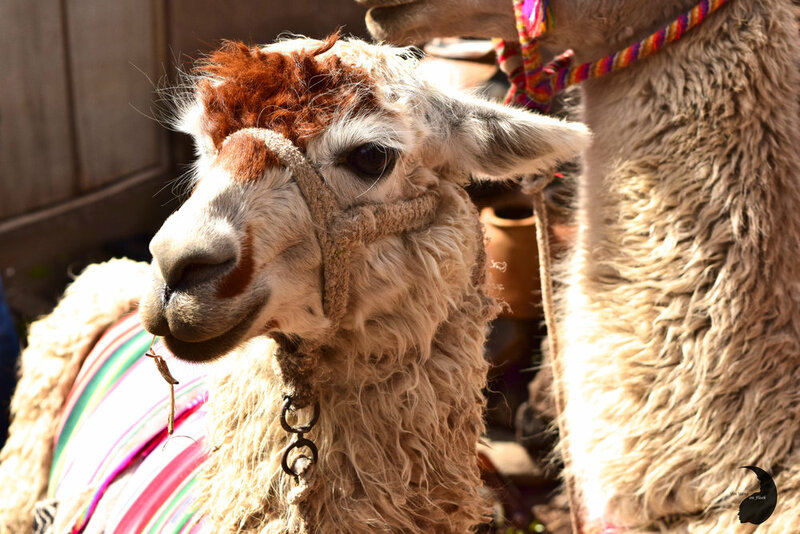 We would love to hear more from you about your Peruvian adventures.